Paul Colin: Jean Sarment. 1930. 152 x 117cms (60 x 46 inches). Mounted on linen. Central portion browned. Category: Miscellaneous. 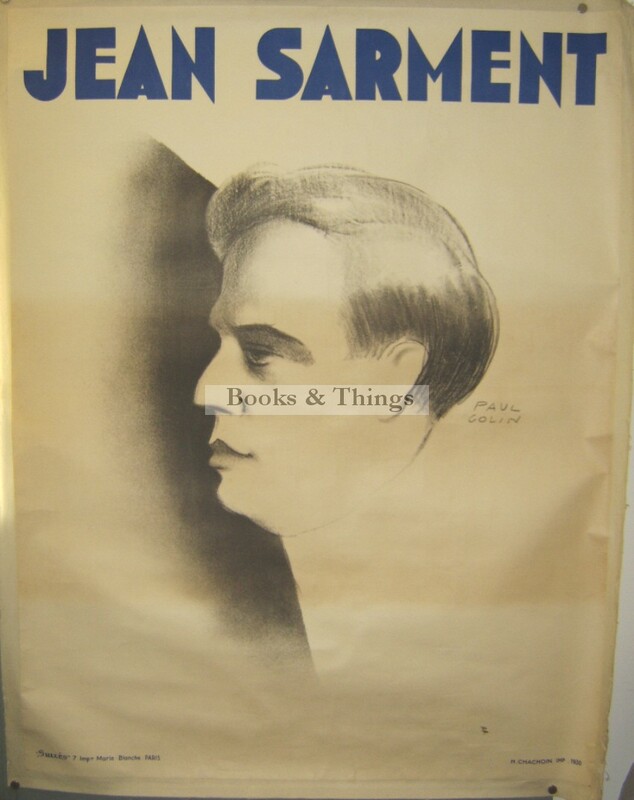 Tags: Jean Sarment poster, Paul Colin poster, Paul Colin poster for sale.